Help CenterEverything about to get you started and improve knowledge. Case StudiesLearn best practices from our customers. Developer APIDocumentation, API, Examples, FAQ and more. MailChimp integration allows you to send marketing emails, automated messages and targeted campaigns to your leads or contacts using custom filters. 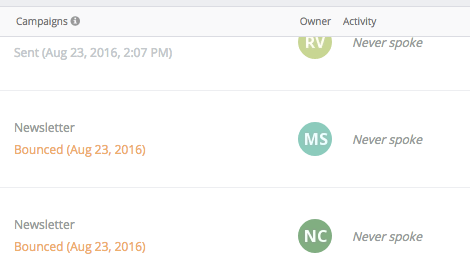 It then allows you to track your campaign status directly in Teamgate Sales CRM. The MailChimp email campaign feature is on the best marketing features available with proven return rates. 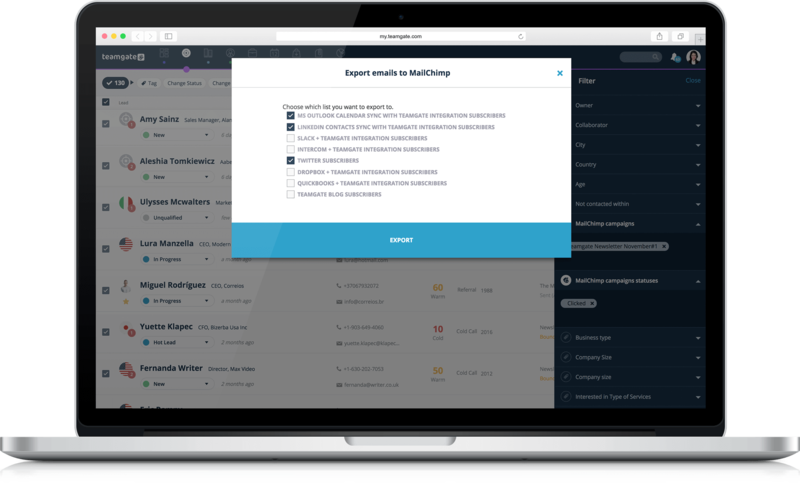 MailChimp email campaign marketing with Teamgate brings communication with your leads, customers, or prospects to the next level, through tagging, categorising, filtering your leads and transferring them directly into your MailChimp recipients list. MailChimp integration with Teamgate sales CRM will changes the way your market your product online, and reach a far bigger audience. You don’t have to leave your Teamgate Sales CRM account to import leads into a MailChimp mailing list. MailChimp contact list can be export simply by clicking the MailChimp button and pick the mailing list – the contact information of your leads will then be exported to MailChimp in a matter of minutes. 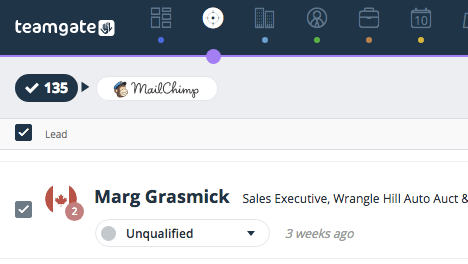 MailChimp integration lets you see the status of your MailChimp campaigns in the lists of leads and contacts. Next to a contact, you can see the last newsletter sent and the actions taken by a contact, e.g. opened, clicked, unsubscribed, marked as spam, etc. 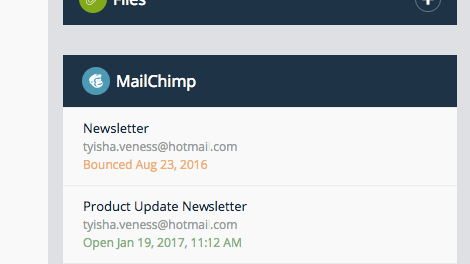 To overview and manage your contact lists better, you can filter them by MailChimp campaigns and campaign status. In this way, the MailChimp contact list lets you analyse the success of your newsletter campaigns and take follow-up actions accordingly. 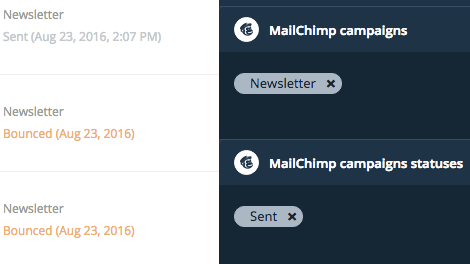 In the Teamgate sales software contact cards, there’s a list of MailChimp campaigns. You can view which newsletters were sent to a contact and what actions they performed, e.g. opened or left unread, clicked, unsubscribed, etc. This information is an important, and actionable part of the lead’s communication history. I agree to receive electronic marketing communications from Teamgate and understand I can unsubscribe by clicking the ‘unsubscribe’ link in any email or by contacting Teamgate. PLEASE BOOK THE MOST SUITABLE TIME SLOT IN OUR CALENDAR. Hi, I am Ilmaras, Sales Manager here at Teamgate. I am responsible for ensuring that you drive maximum value from our tool. I would like to learn more about your main goals for using the CRM solution and to tell you how other companies are using our CRM. Please fill in the form and I will get back to you ASAP. © 2019 Teamgate.com All rights reserved. All signs belongs to Teamgate LTD.